Our team of direct mail marketing specialists work with nonprofit organizations developing direct mail solutions to overcome challenges in creating effective mail pieces and mailing techniques that can help to maintain a nonprofit organization's ongoing outreach to prospective new donors and existing partners. A well maintained direct mail campaign is what any nonprofit organization needs in order to create awareness about an organization's mission. Direct mail is an effective way to get information out to prospective donors about upcoming fundraising events or to extend opportunities to get involved with specific causes, and to keep existing partners well informed. There are many effective and economical ways to share a nonprofit organization's ongoing fundraising programs. Customized letters and postcards are commonly used to increase donor awareness and contributions. A personal letter is one of the best ways to communicate important information about a nonprofit organization's goals, fundraising needs, and achievements. Personal letters are also a great way to show a partner an organization's appreciation for their ongoing financial commitment. There is also the use of calendars, booklets, brochures, newsletters and so much more that can get and keep a donor interested in getting involved for a good cause. 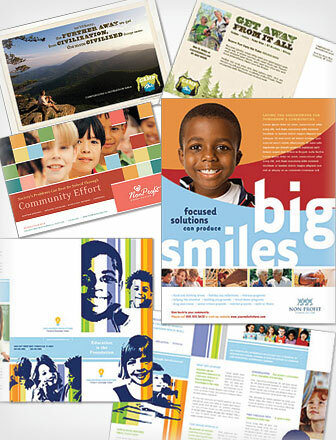 A well designed and maintained mailing campaign will keep a nonprofit organization stable and consistently growing. iti Direct Mail operates from a single location and simplifies your direct mail project by centralizing the entire job in one shop. We design, print, and mail the entire project in-house. We work with you, personally, and use our talented in-house designers to create custom mail pieces that will correctly represent your nonprofit organization; we never outsource any of the work outside of the United States. The planning, designing, printing, production and mailing operation is done in-house; therefore, the entire project is completed promptly, correctly, and efficiently. One of our direct mail marketing specialists will be assigned to you throughout your project, from beginning to end. You will never have to deal with a separate printer and mailing house again. Less complications and time spent dealing with more than one company at a time will result in a reduction of your overall marketing cost. High quality, low cost, custom mail pieces are our specialty. With over a decade of direct mail marketing experience we are sure to save you valuable time and money while creating high quality mail pieces at reasonably low prices. Because of our many years of experience in direct mail marketing you won't have to compromise and mail less than average mail pieces to save money, we are able to save you money while still receiving a well designed mail piece that doesn't resemble junk mail. In our experience, a mail piece that resembles junk mail is usually not acknowledged by the recipient as an important piece of mail. Generally, the only connection between a donor and a nonprofit organization is the mail piece that is sent to the donor. Therefore, your mail piece must be carefully created to correctly express your organization's significant operation and mission declaration.